The Anet A8 is a cost-effective FDM (Fused deposition modeling). 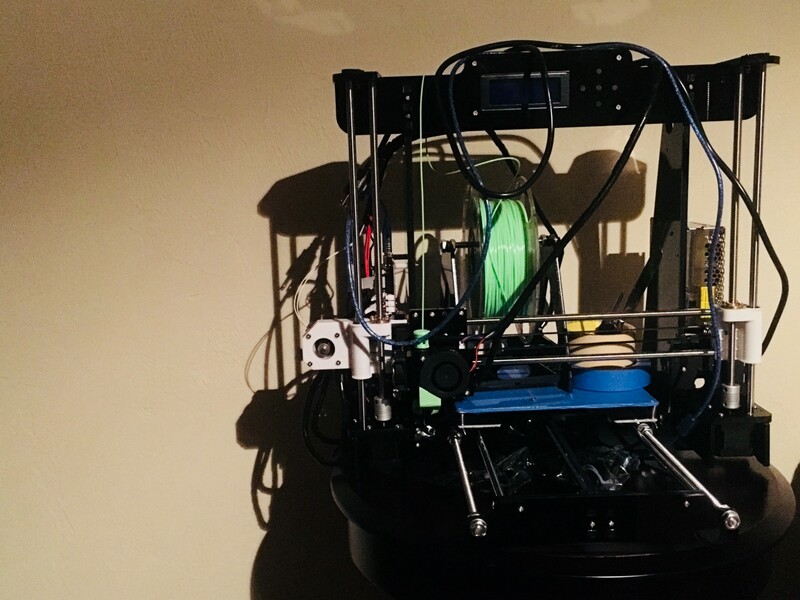 It’s a clone of a more expensive printer by Prusa. You can find some deals in the range of $120 — $200 USD. It’s a great introduction to 3D printing because of the low cost, and big community around it. The low entry cost comes at a price though, the price is assembly and calibration. I’m going to skip a lot of possible talking points about the printer if you have any questions just ask in the comments. If you want to print from your Mac OS X device or update/change the firmware you’re going to need to know a few things. One does not simply just connect it to the USB. First you’ll need the drivers. For my friends on Windows or Linux, please find the drivers for devices using the CH340G, CH34G or CH34X chipset. You can find drivers in the SD card that comes with the printer, but if your on a Mac OS X device don’t install it. The following is extremely important for Mac OS X users! Download these drivers if you don’t want your computer crashing hard when ever you plug the printer into your Mac OS X device. The rest of these downloads apply for any other operating systems that support the following softwares. If you want to update the firmware to Marlin download it here. You can read more about it on their official site here. If you do not have auto leveling sensor you’r going to want to turn of the auto leveling feature in your Marlin firmware configurations. This is because the default Anet A8 configuration sets a Z +10 mm. You’ll also find the Anet A8 configuration templates in the `example_configuration` directory. You’ll have to copy and paste where the original configurations files exist now. Here are my files that support an Anet A8 with out an auto bed leveling sensor. I hope this helps, as this was time consuming for me setting up my Macbook Pro to the Anet A8.